Why Choose Bathtub Refinishing Over Bathtub Replacing? Did you know the refinishing process can help give your bathtub a new life, even when it seems that its lifespan has ended? By sanding down, or repairing all the nicks, scratches, and dents in your bathtub, the refinishing process can make it look like a brand new one. And the best part is that it doesn’t cost you as much as a replacement. Whether it’s about updating style or enhancing the functionality of the bathroom for any reason, homeowners usually have to choose between refinishing the old bathtub and simply replacing it. Of course, depending upon the urgency, budget, and availability of time, one can choose to replace the bathtub. However, bathtub refinishing is the option every homeowner should think about. Come on, let’s face it, everyone wants to save their hard earned money whenever possible. Moreover, one should be ready for the hidden costs that could be associated with replacing a bathtub option. Demolition, for example, may cost a good amount of money, time and create a mess. Once you have made up your mind to go with the refinishing process, the very next thing is – preparing for it. No doubt you can buy a refinishing kit and try to get everything done on your own; however, it’s highly recommended you hire an experienced technician. Don’t make a mistake by considering it an easy DIY project and remember, the best and most desirable results can be achieved only by hiring a trained professional. 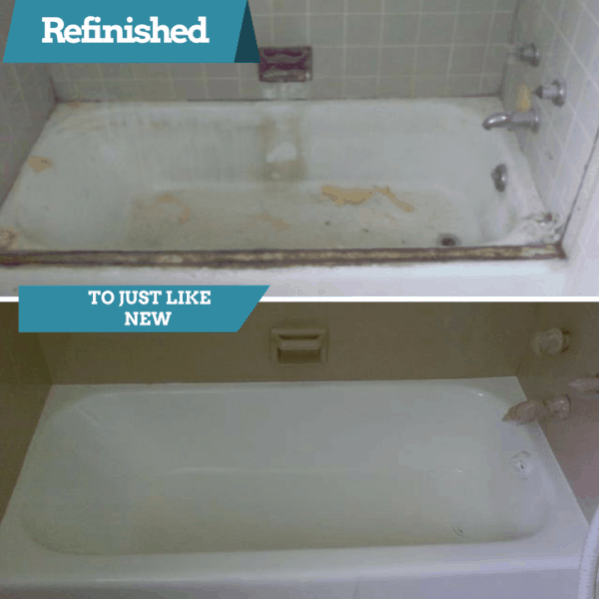 Refinishing will give a whole new look to your old bathtub from color changes to repairs. But make sure the professional you hire carries years of experience under his belt. From expertise to resources, he should have everything that is required to get the best results. Last, but not the least, make sure he follows safe and Eco-friendly practices. Not doing your research before hiring someone can turn your remodel into a disaster. Not all recoating companies are equal. Browse the web but know that if you choose Total Koatings you will not be disappointed. They have the experience, the knowledge and the training to perform the recoating job to your specifications in minimal time and with minimal stress for you. Find out how much your refinishing project would cost by filling out this form. I’ve been looking for a good fiberglass refinishing service. I’m glad you talked about how you can refinish your tub and save money. I’m going to have to look for a good fiberglass refinishing service and see what we can find!